[www.inewsguyana.com] – Maya Angelou, a renowned poet, novelist and actress whose work defied description under a simple label, has died, her literary agent, Helen Brann, said Wednesday. She died at her home in Winston-Salem, North Carolina, Brann said. A professor, singer and dancer, among other things, Angelou’s work spans different professions. She spent her early years studying dance and drama in San Francisco, California. After dropping out at age 14, she became the city’s first African-American female cable car conductor. In 1958, Angelou become a part of the Harlem Writers Guild in New York and also played a queen in “The Blacks,” an off-Broadway production by French dramatist Jean Genet. Affectionately referred to as Dr. Angelou, the professor never went to college. She has more than 30 honorary degrees and taught American studies for years at Wake Forest University in Winston-Salem, North Carolina. 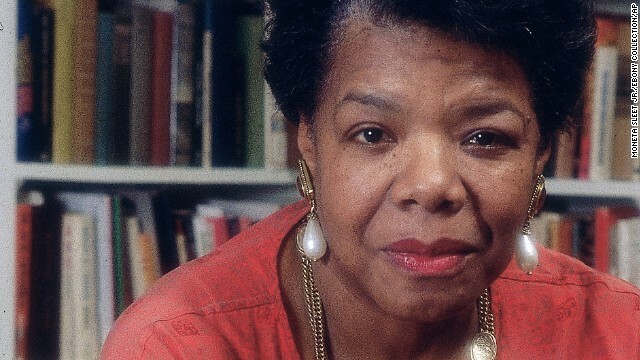 Angelou was born on April 4, 1928, in St. Louis, Missouri. She grew up between St. Louis and the then-racially-segregated Stamps, Arkansas. The famous poet got into writing after a childhood tragedy that stunned her into silence for almost a decade. When she was 7, her mother’s boyfriend raped her. He was later beaten to death by a mob after she testified against him. “My 7-and-a-half-year-old logic deduced that my voice had killed him, so I stopped speaking for almost six years,” she said. From the silence, a louder voice was born. Her list of friends is as impressive as her illustrious career. Talk show queen Oprah Winfrey referred to her as “sister friend.” She counted Martin Luther King Jr., with whom she worked during the Civil Rights movement, among her friends. King was assassinated on her birthday. Angelou spoke at least six languages, and worked as a newspaper editor in Egypt and Ghana. During that time, she wrote “I Know Why the Caged Bird Sings,” launching the first in a series of autobiographical books. “I want to write so well that a person is 30 or 40 pages in a book of mine … before she realizes she’s reading,” she said. Angelou was also one of the first black women film directors. Her work on Broadway has been nominated for Tony Awards. Dr Maya Angelou was a unique human being and a trail blazer for People born with the cards stacked against them. She was a great Role Model who triumphed against all adversities. May her soul rest in Peace.